Pianist Magazine's Ellie Palmer summarises the pianists involved in the first two weeks of a quite stunning Proms season. 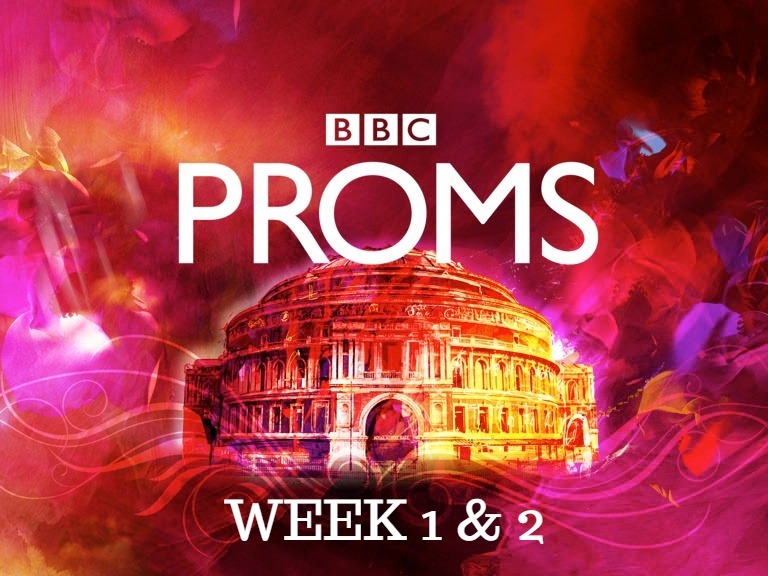 This year's BBC Proms, which are taking place in London, began on the night of Friday 13th July. Despite the myths and legends surrounding this particular date, there was nothing unlucky about the spectacular curtain raiser at the Royal Albert Hall. Pyrotechnics galore rained down on the outer walls of the 147-year old building. It was a quite stunning beginning; one that certainly set the tone for the first two weeks of this world-renowned classical music festival. A selection of the world's most skilled pianists will be performing throughout the 7-week festival. We started with Mr Francesco Piemontesi. You can listen to his performance by clicking here. Piemontesi’s performance begins shortly after the 12-minute mark. Sunday 15th July welcomed pianists Lauren Zhang, Martin James Bartlett, Freddy Kempf and Lara Melda. The trio of previous BBC Young Musician of the Year winners were in attendance to help celebrate the 40th anniversary of the prestigious competition. Performing excerpts from the Carnival of the Animals by Camille Saint-Saëns, all 4 pianists thrillingly wowed with their highly virtuosic performances. The arrangement was specifically adjusted for 4 piano soloists especially for this performance. You can watch the performance by clicking here. It begins shortly after the 1-hour 26-minute mark. Spanish pianist Javier Perianes joined BBC New Generation Artists the Calidore String Quartet for Schumann’s richly Romantic Piano Quintet in E flat major at Cadogan Hall on Monday 16th. This was followed by a trio of works by American composer Caroline Shaw. One of the centenaries being marked at this year’s Proms is the anniversary of women over the age of 30 being given the right to vote in 1918. To reflect that momentous change, each Cadogan Hall Prom will feature a work by a woman composer never before commissioned by the BBC. Wednesday 18th saw Angela Hewitt join the BBC Symphony Orchestra for a performance of Messiaen’s ‘by turns hypnotic and orgiastic’ Turangalîla Symphony, which came together with Gershwin’s An American in Paris to celebrate the music of Paris. Proms debutant Bertrand Chamayou was the soloist in Mendelssohn’s sparkling First Piano Concerto in G minor on Friday 20th. The piece was composed when Mendelssohn was just 22 years of age during a visit to Munich. Pianist Louis Lortie joined the BBC Philharmonic at the Royal Albert Hall for music by Schubert on Tuesday 24th. Schubert’s Wanderer Fantasy, transcribed by Liszt for piano and orchestra, was the piece in question. Listen from 1 hour and 20 minutes in here. Pianist Paul Lewis played Beethoven's 'Emperor' Concerto with the BBC Philharmonic on 25th. Why is the piano’s entry in this piece such a famously spine-tingling moment? “He sets up a richness in the strings, and a wonderful distance between bass and treble in the piano entry.” - Paul Lewis.